The Harlem Midwife is Roberta Rich’s second book about midwife Hannah Levi, who has fled to Constantinople from Venice with her silk trader husband, Isaac. It’s 1579 and Hannah works as imperial midwife in the palace of Sultan Murat III, looking after a thousand women in his harem. She’s particularly good because she invented some of her own birthing tools and saves lives that would have been lost by others. 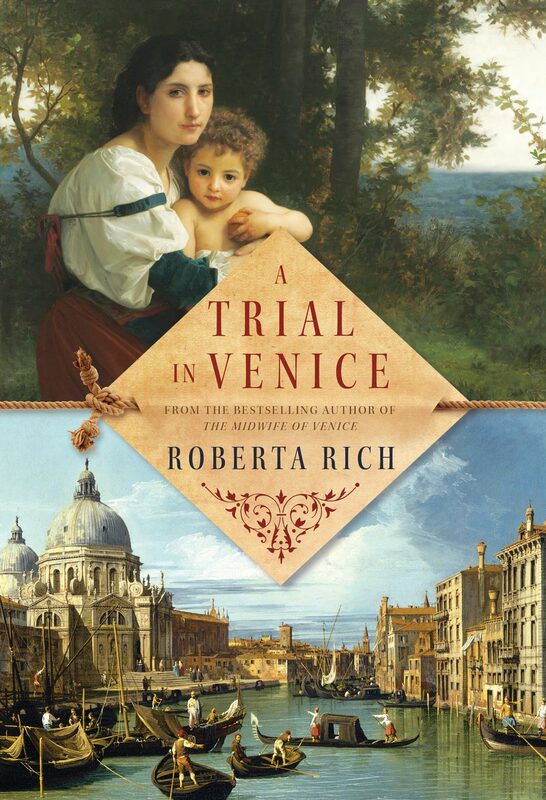 But, as in The Midwife of Venice, also by Canadian writer Rich, Hannah’s kind heart and sense of right and wrong outweigh her sense of survival and she finds herself caught up in intrigue. Her husband’s brother Leon has died, leaving his widow Grazia alone and without money. Under “an ancient tradition from biblical times,” the Rabbi rules that Isaac is also married to his brother’s widow since Leon died without heirs. Isaac’s plea that “Jews no longer practise this custom” fails to move the rabbi who insists the law is for the widow’s protection. Hannah’s calm existence is suddenly filled with danger and even Isaac seems to retreat into coldness. She doesn’t even know if their little adopted son is safe with them. Rich describes the opulence of royal life in Constantinople set against conspiracy and betrayal. There is perfidy amidst the lushness of rooms overflowing with silks and jeweled brocades and infused with the scent of orange blossoms. From outside, comes the keening of the muezzin, calling the faithful to prayer. In Rich’s Constantinople, the more heavenly the surroundings, the more treacherous the characters, and Hannah must figure out whom to trust.